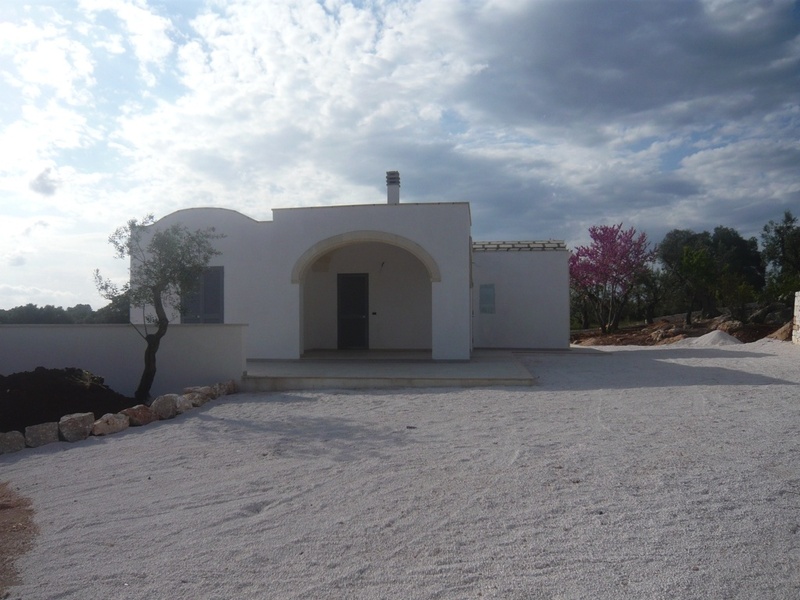 PRICE REDUCED FROM 395,000 EURO. 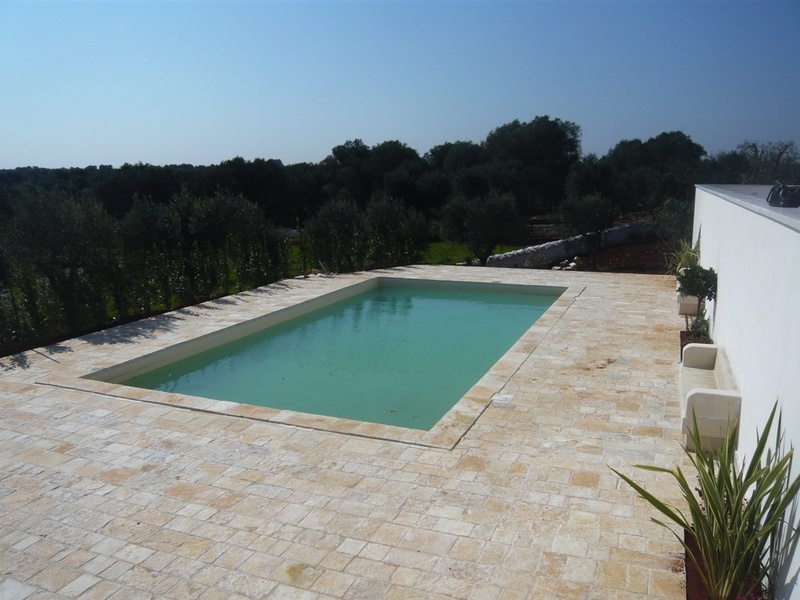 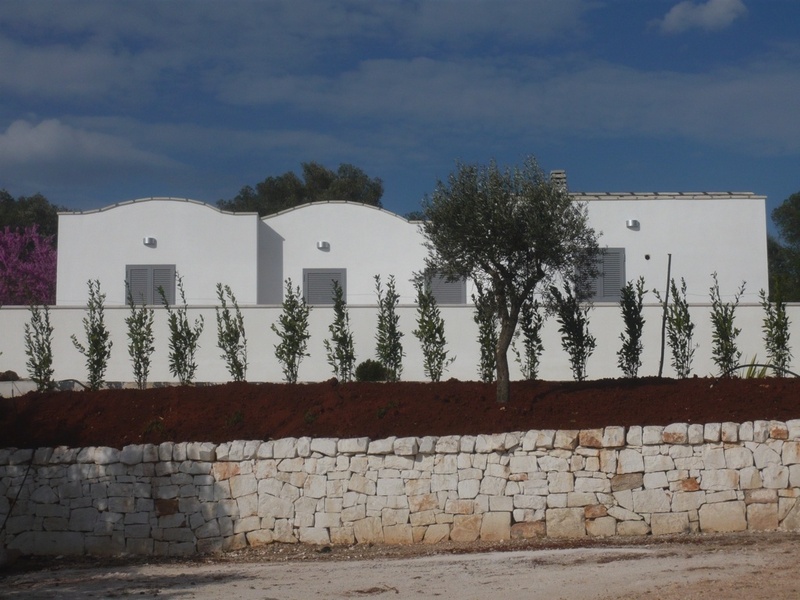 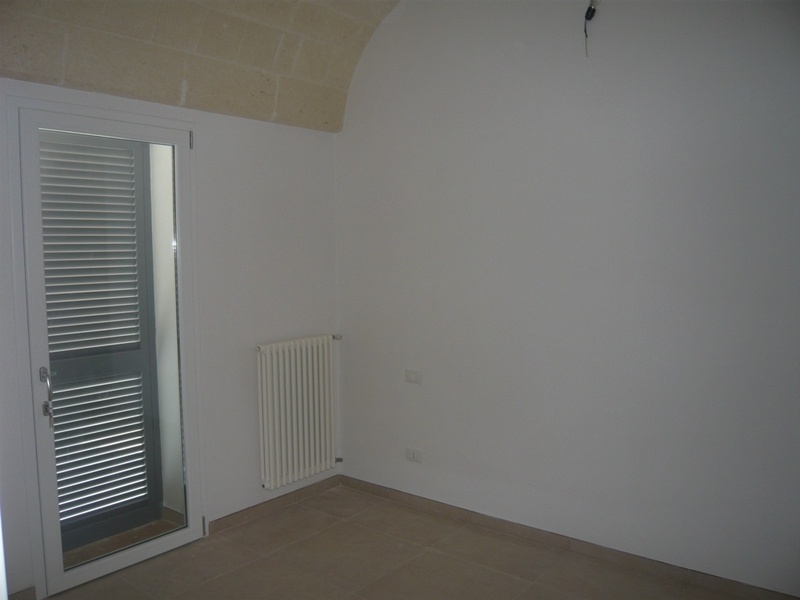 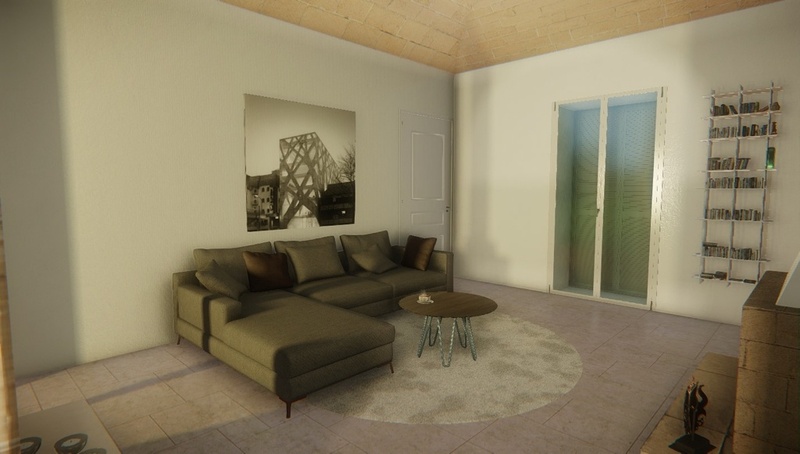 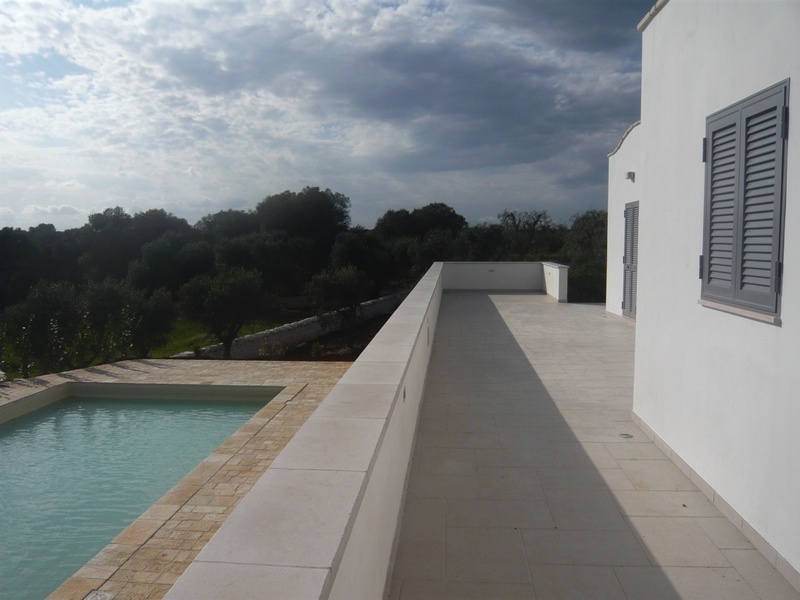 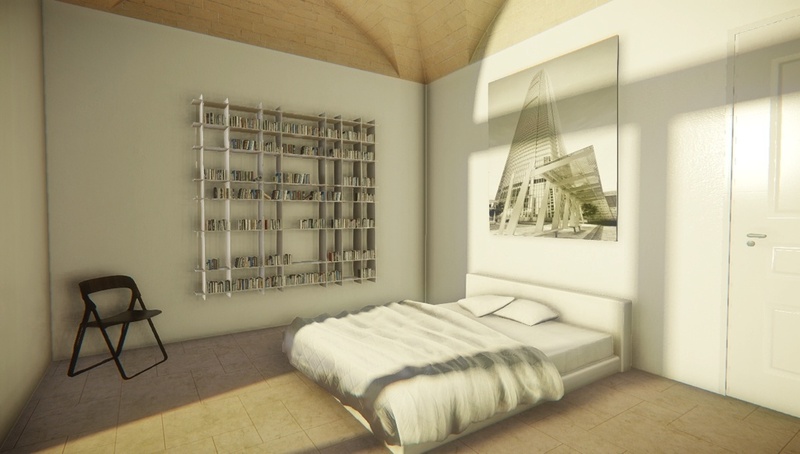 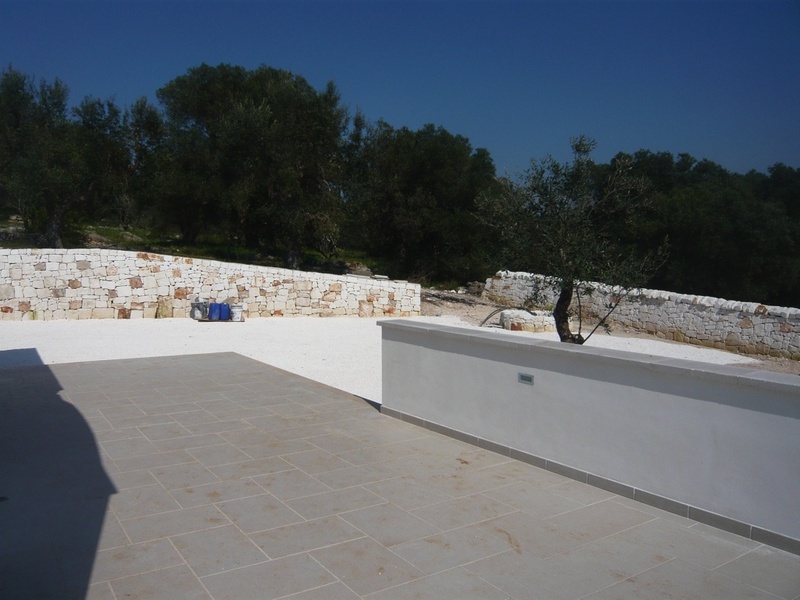 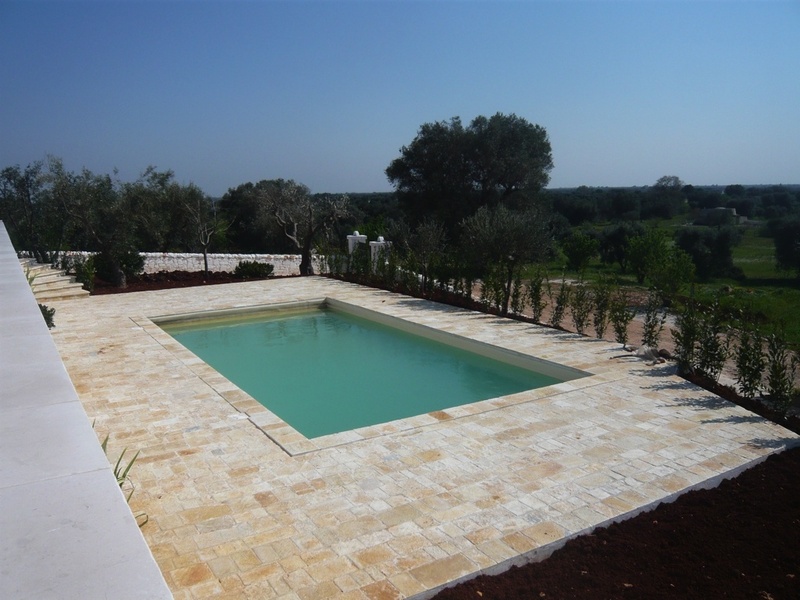 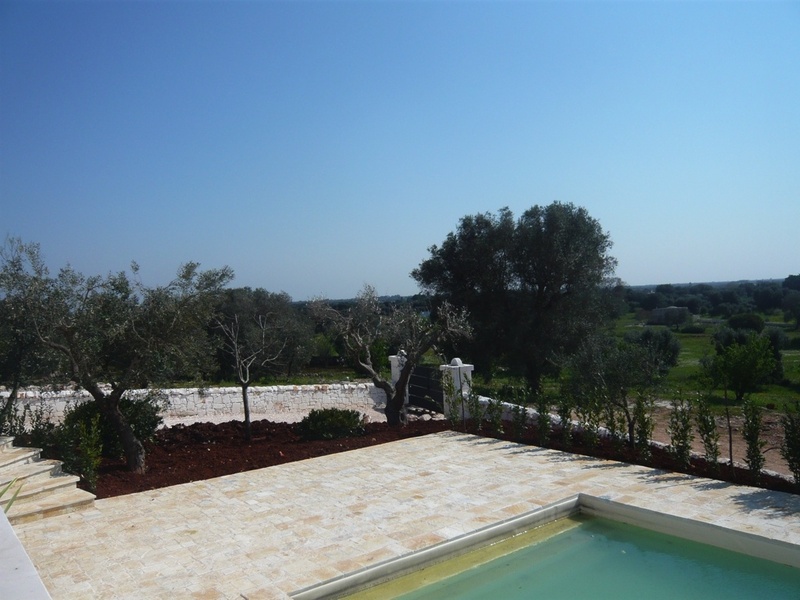 This new build architect designed villa is located in an elevated position 4km from the historic town of Ostuni in a quiet countryside location. 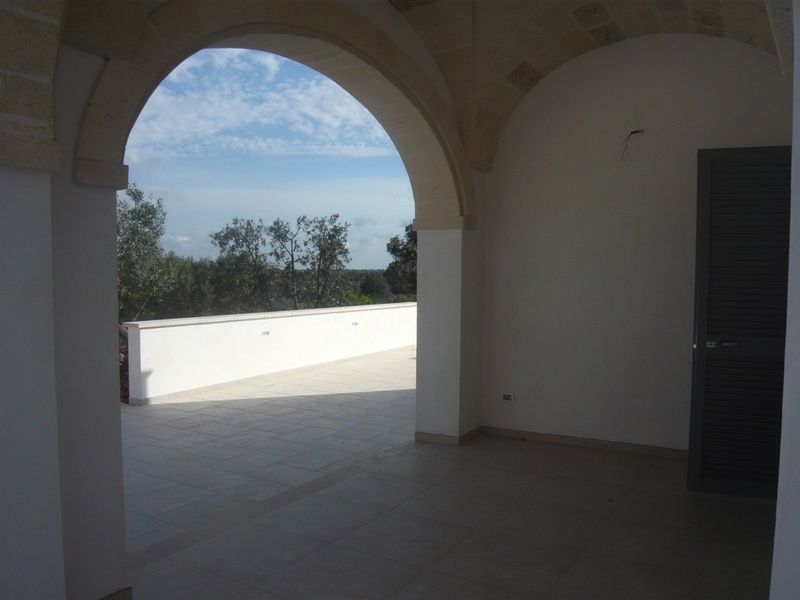 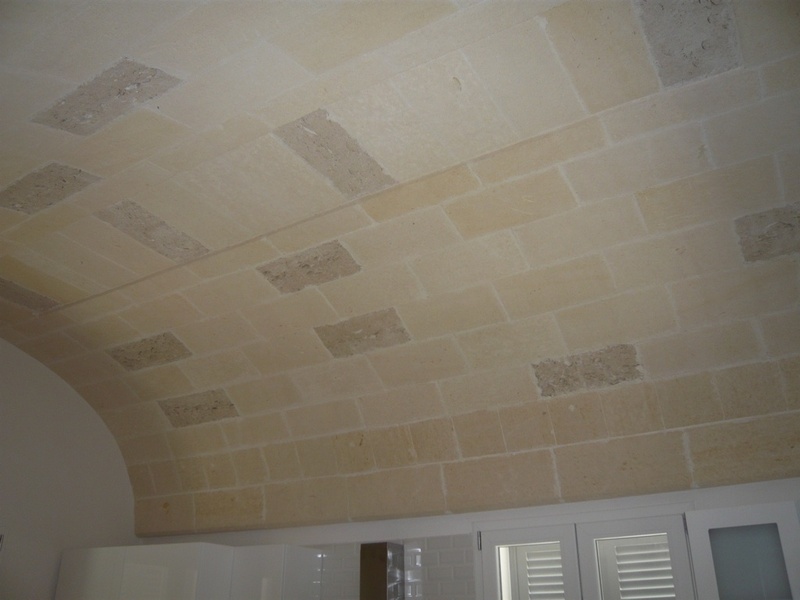 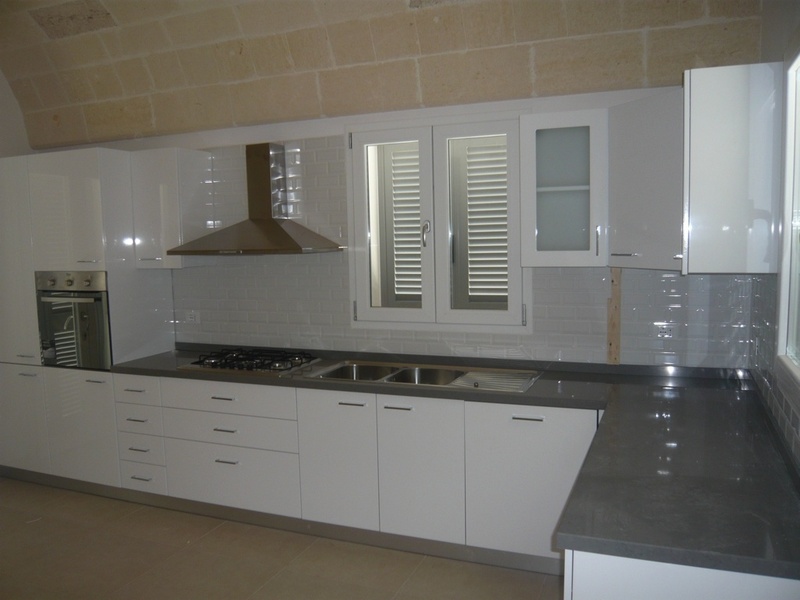 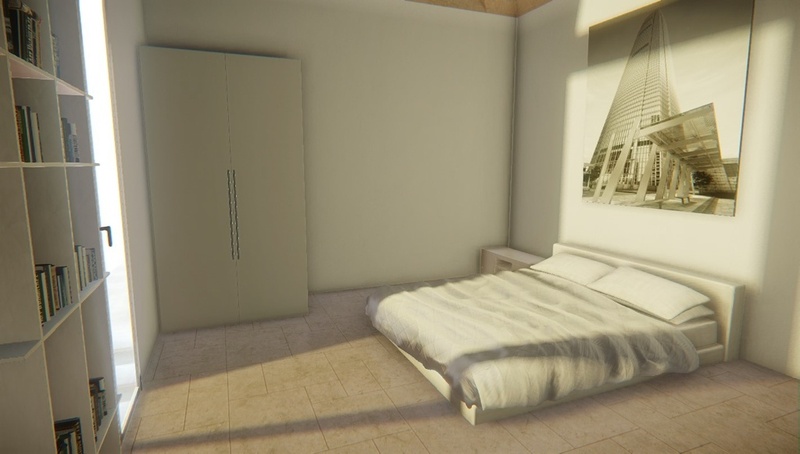 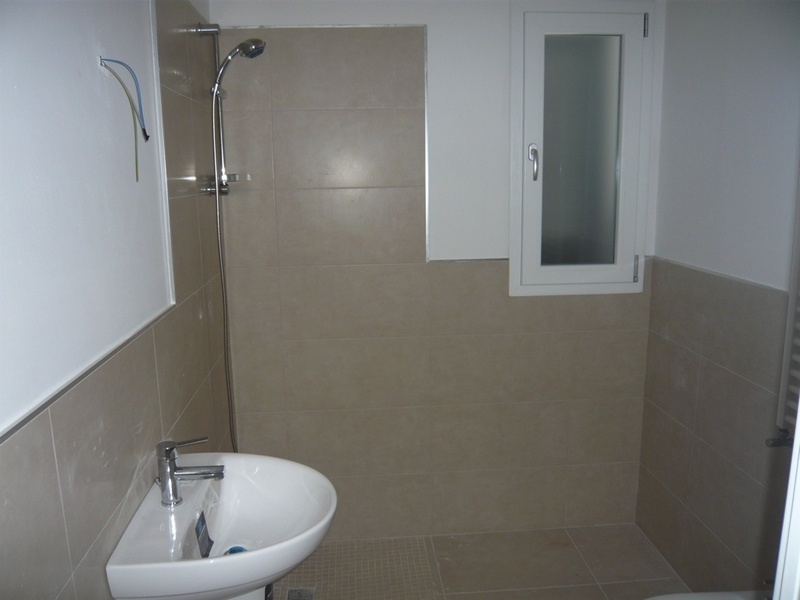 The property has been finished to an extremely high standard. 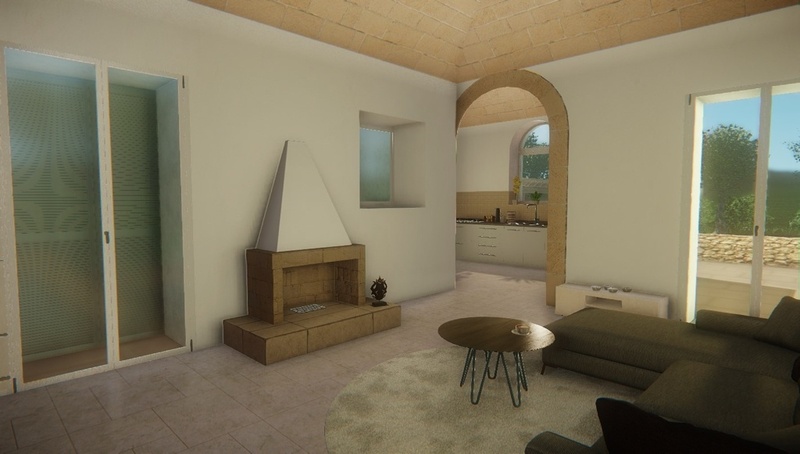 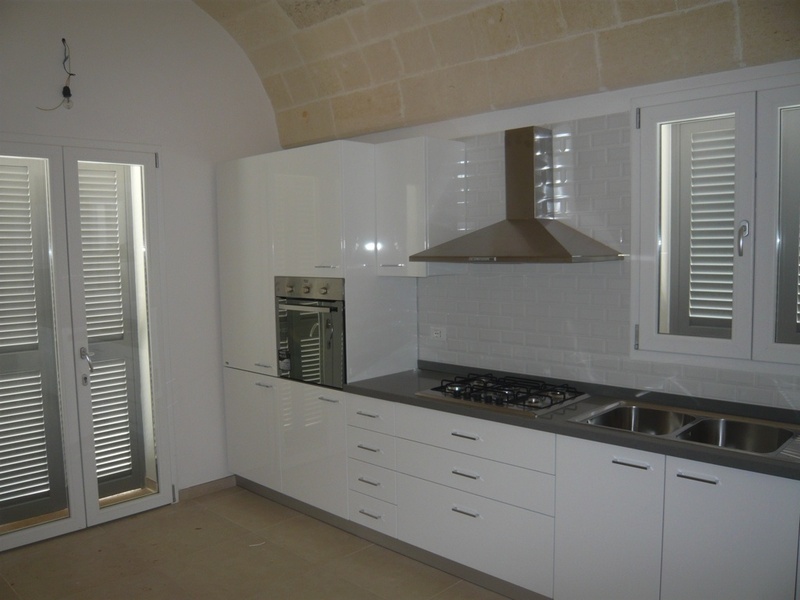 The dwelling area of the villa measures 110 sqm and the accommodation consists of a large fully fitted modern kitchen, separate living area with vaulted ceilings, 2 double bedrooms and a bathroom in the main house with a further double bedroom and bathroom in the guest annexe. 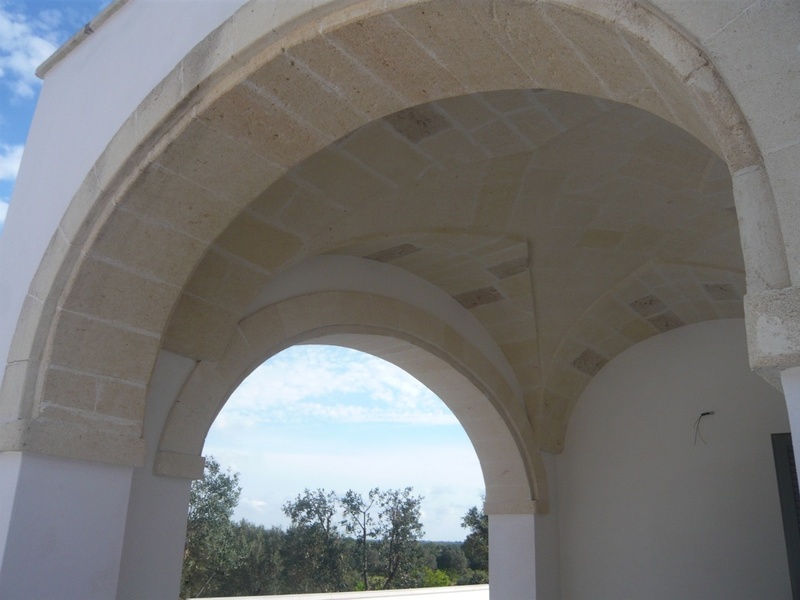 At the entrance to the main house is a large covered veranda with traditional stone stellar ceilings, providing the perfect spot for alfresco dining. 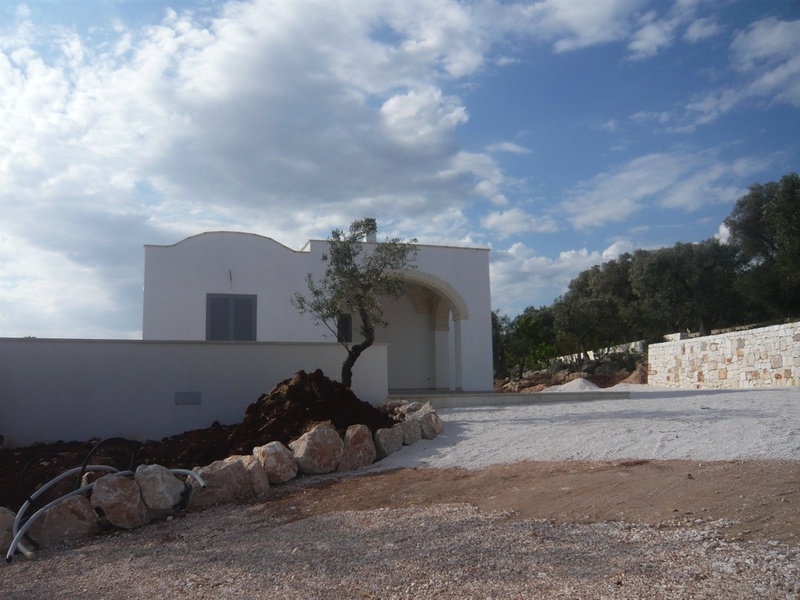 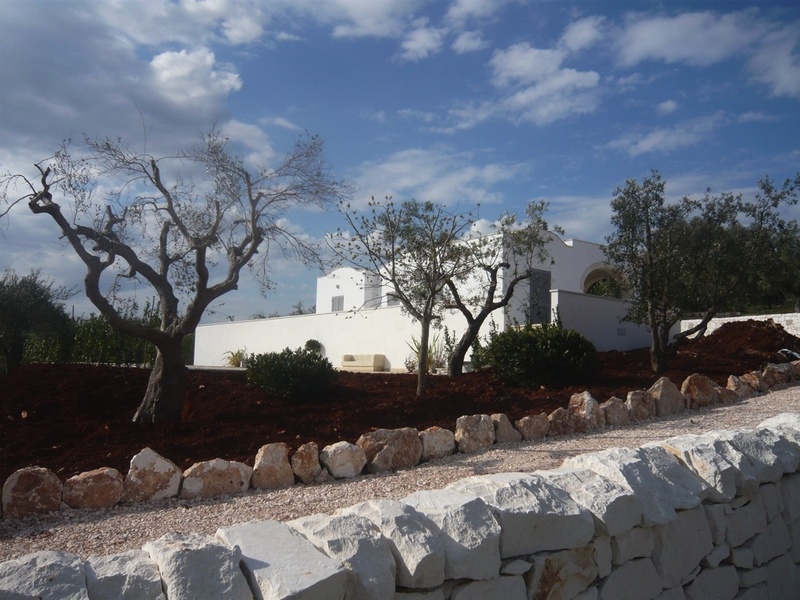 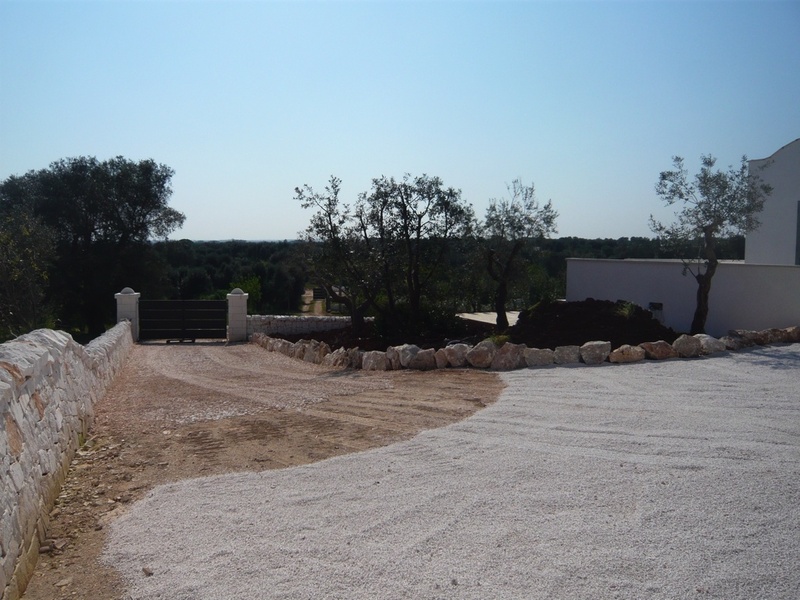 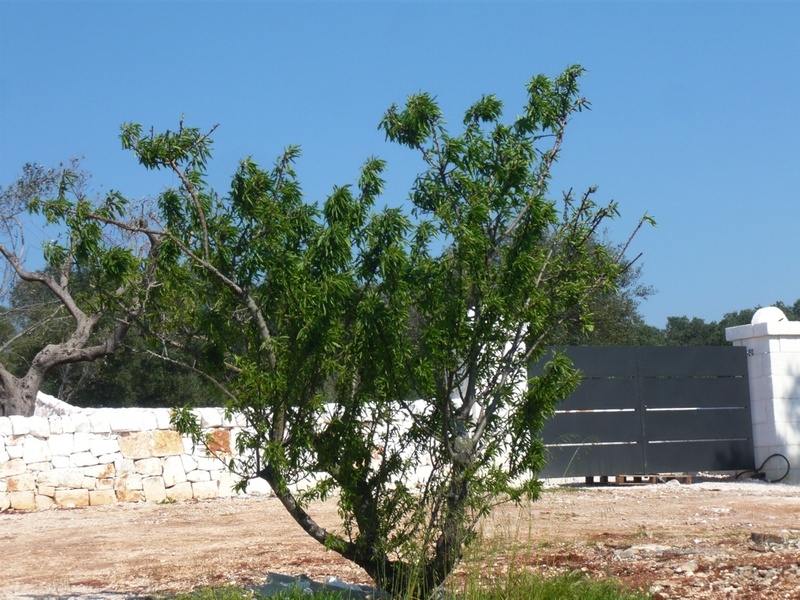 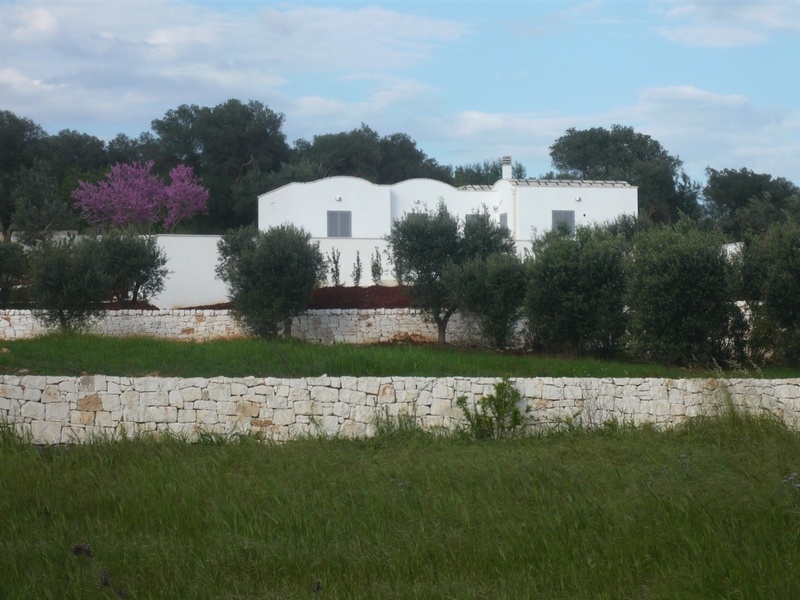 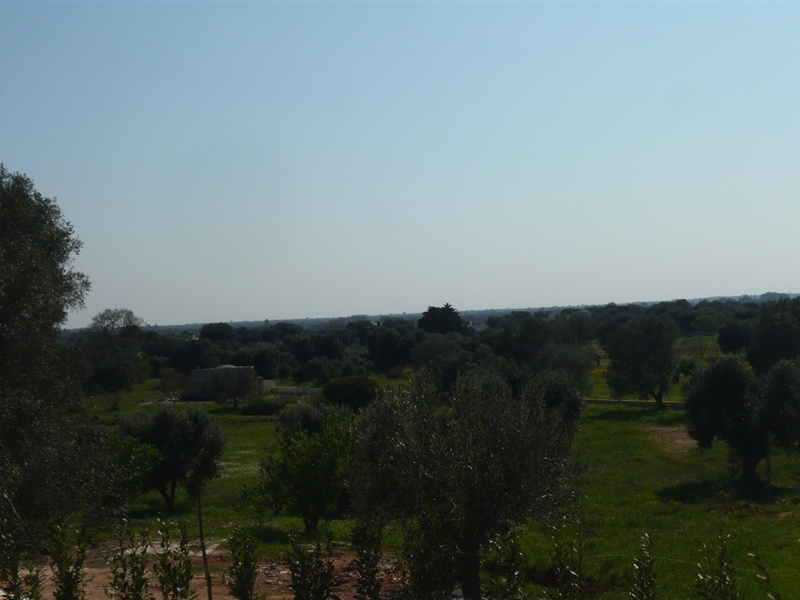 The property is being sold with 5000sqm of land which contain approximately 40 olives and a wide variety of fruit trees. 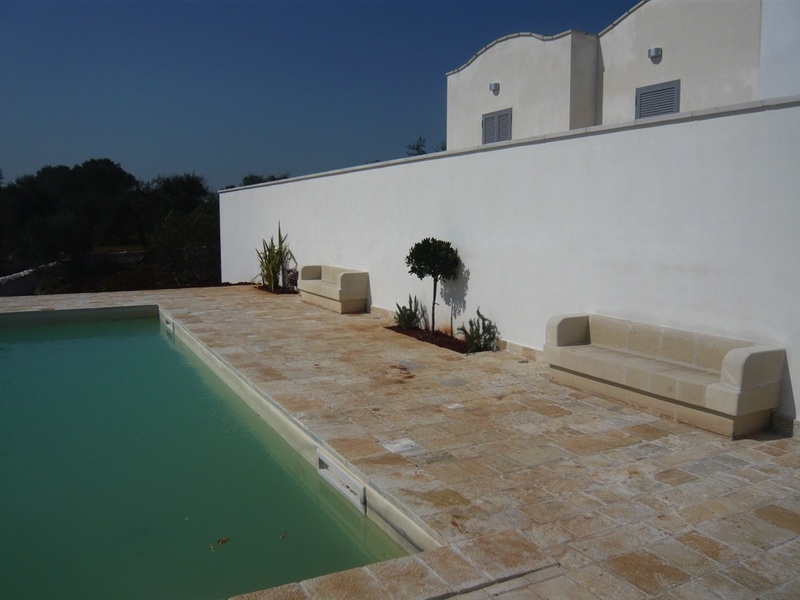 The swimming pool measures 5 x 10 metres and there is a large patio area around it allowing plenty of space to relax in. 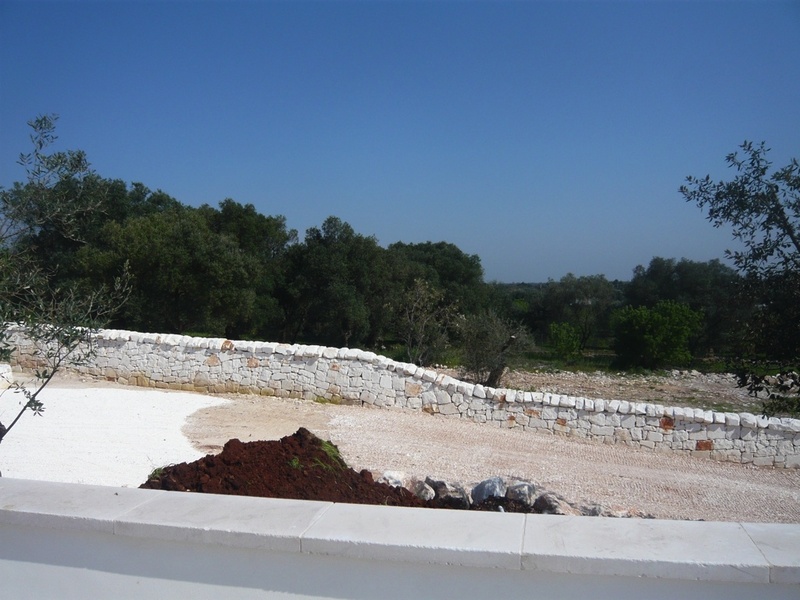 The property benefits from gas central heating, electric gate, alarm system and an artesian well.